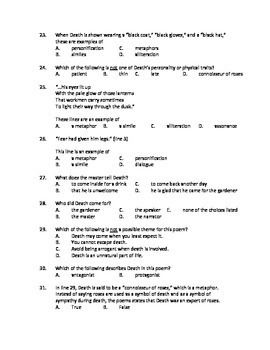 This test should be utilized after reading and discussing both poems. The assessment contains 35 questions (matching and multiple choices) as well as a fill in the blank and short answer section. The key is included. I also have a PowerPoint presentation that can be used to teach both of these poems for sale. Created by Topgrump.